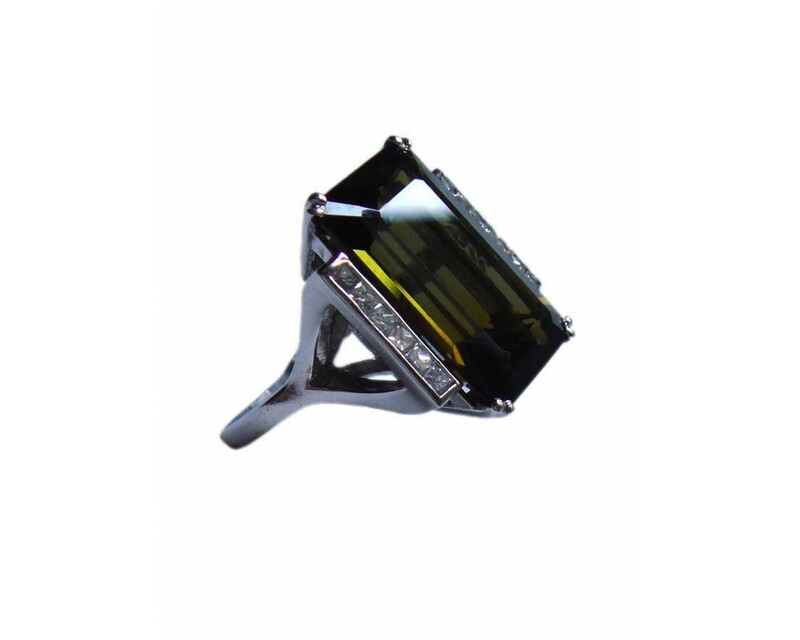 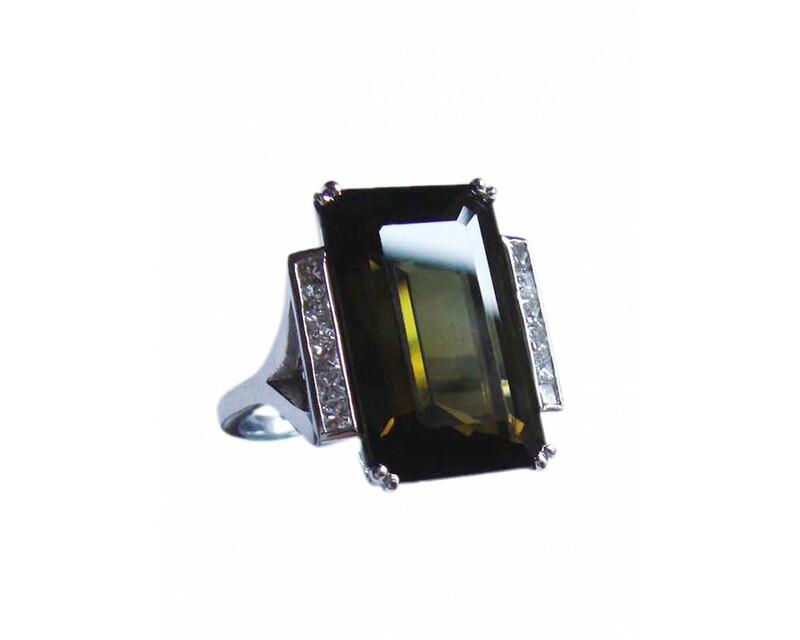 Green tourmaline & princess cut diamonds set in 18ct white gold. 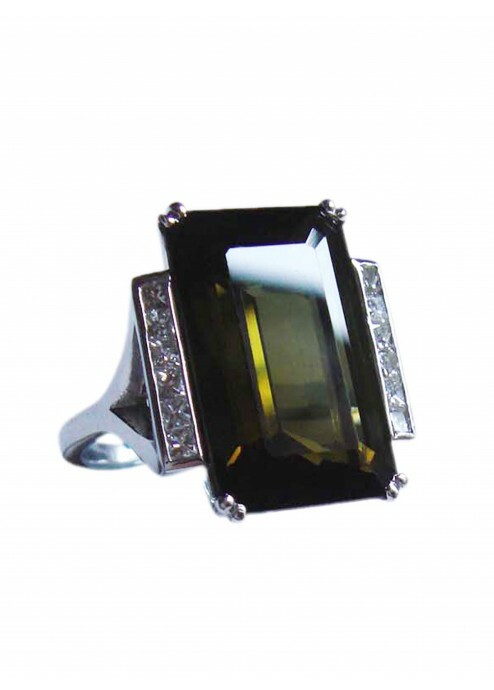 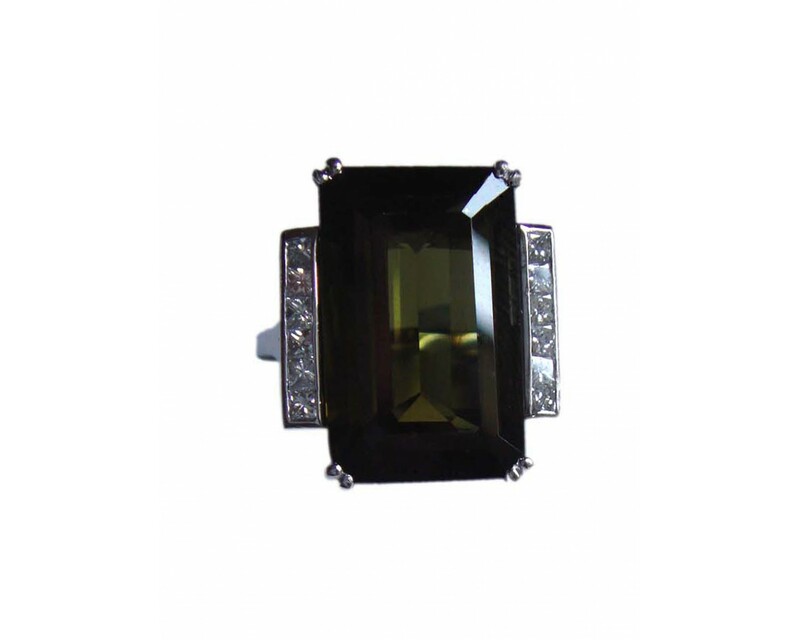 This stunning cocktail ring is a lovely combination of the green tourmaline and diamonds. It is classically proportioned with a modern sensibility.